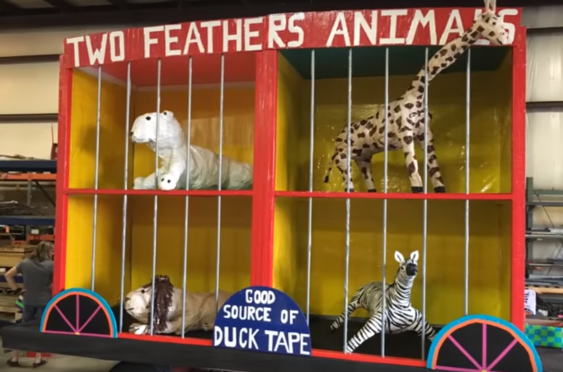 Two Feathers Longhouse came together once again to build a float for the 14th Annual Avon Heritage Duck Tape Festival. To see how their gold-medal-winning Animal Crackers inspired float was built, check out their video. If you’re wondering, it took approximately 212 rolls of duck tape to build and decorate their float. This is another event that is sure to make for some lifelong friends and family memories. Well done, 2FL! Copyright © 2006-2019 National Longhouse, Ltd.